Kosciuszko National Park is located in the South East of Australia. Alpine areas are found above the tree line- the altitude above which summer temperatures do not allow for tree growth. This is usually around 1800m. The highest point is found at the summit of Mount Kosciuszko which is 2,228m above sea level. Kosciuszko National Park is located between latitudes 35°30’S and 37°02’S and longitudes 148°10’E and 148°53’E. Although Kosciuszko National Park is 673,542 ha in area, only . a fraction of this is actually alpine in nature. The largest tract of alpine vegetation occurs along the spine of the Main Range, covering an area of approximately 250 km2 from the rocky peak of the South Ramshead to Dicky Cooper Bogong 28 km to the north. 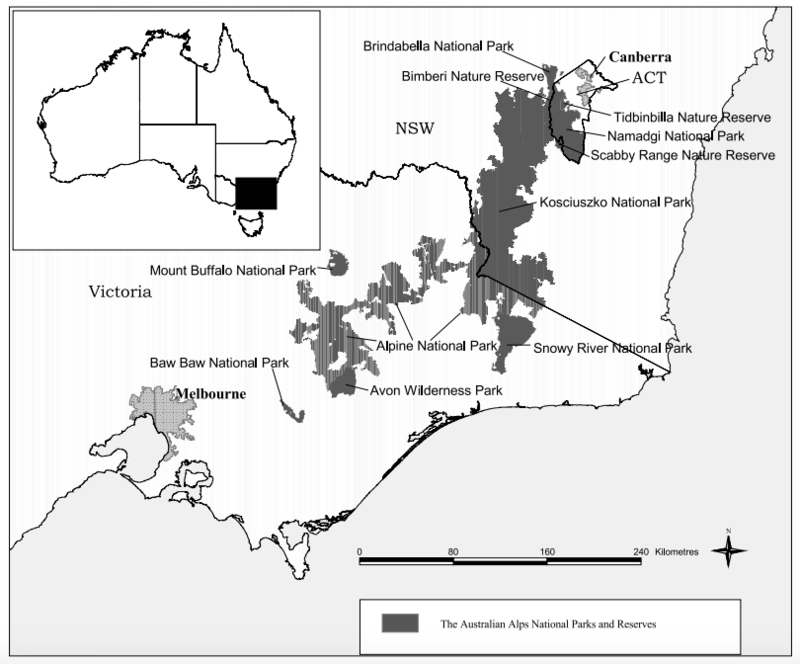 Alpine areas are highly fragmented in Australia as the altitude they require is so rare. Alpine areas areas experience highly variable weather and Kosciuszko National Park is no different. Storms may develop and dissipate quickly. 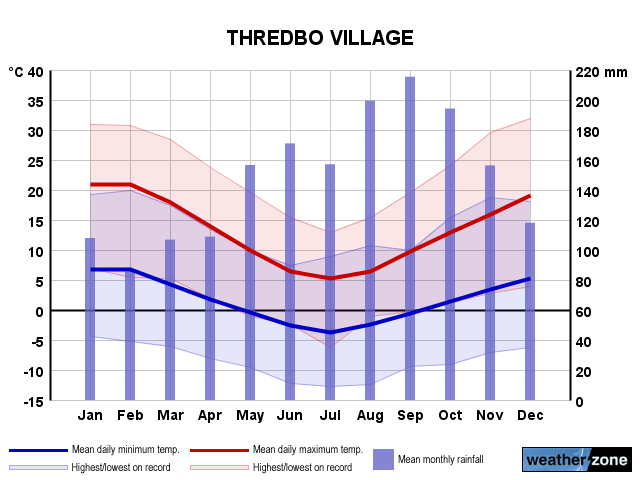 Alpine areas also experience a large range in annual temperatures with temperatures regularly falling below zero in winter months. The annual precipitation, which can fall as snow, has a significant impact on the local ecology as it will prevent plant growth and release melt water slowly across the spring and summer months. The Aboriginal clans and People of the Mountains include Wiradjuri, Wolgalu, Ngunnawal and Monaro Ngarigo. Although many other clans have associations with the mountains. Indigenous people travelled from many directions over long distances to gather peacefully on the mountains for trade, ceremony, marriages, social events and to settle differences. The cycle of life and many seasons influence the movement of indigenous people through the mountains to the sea and the desert. These travel routes continue to be used and spoken about today. Living by natural cycles, the land provides our people with life, ceremony, family lore/law, and resources, such as tools, plant medicine, plant food, waters, fish, animals and insects. The migrations of the Bogong moth was a particularly important cycle as it facilitated intercultural exchanges through an abundant and regularly timed food source. The melting of the snow was also recognised as a source for the many creeks and rivers that flow out of the mountains. Places of spiritual and physical significance remain for indigenous peoples and they are committed to working in partnership with others to protect, maintain and manage these places. The Geology of The Australian Alps. The Conversation, Articles on Australian Alps. Wakatama, H. (2018) Brumbies declared threat to the environment in a move that paved the way for a cull, ABC News. Slattery, D. (2015) Australian Alps, CSIRO Publishing, ACT.